The Peak 2008 series stand microscopes are small, lightweight and portable measuring microscopes designed to go beyond the most powerful measuring magnifier (30x), and still be more compact than other microscopes from Peak, such as 2034 series. 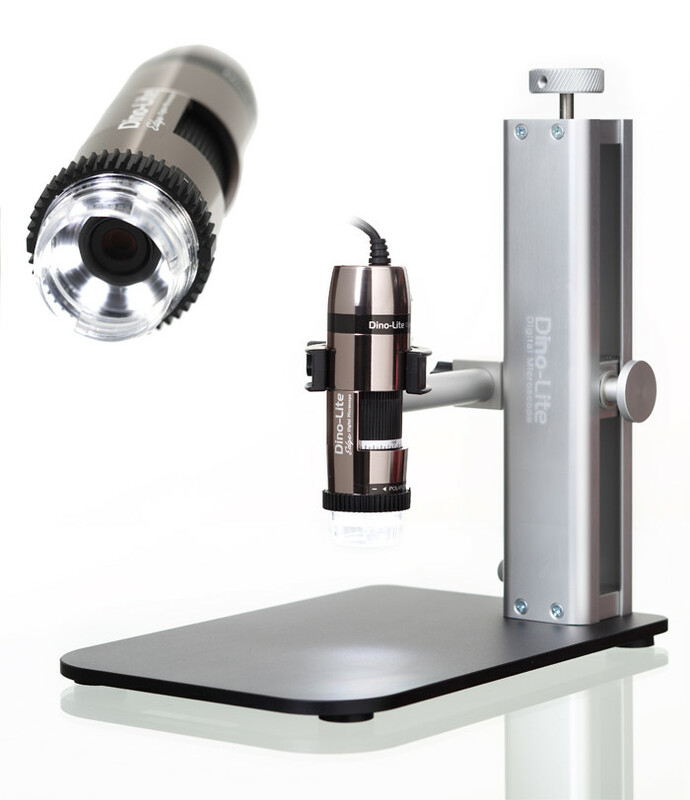 Available with magnification factors of 25, 50, 75 and 100x this microscope is convenient for measuring the thickness, height, or depth of objects with different levels. Smooth focusing is achieved by turning the precision coaxial tube. The eyepiece can also be focused on the scale, which, in contrast to the 2034 series, is not installed in the eyepiece. The measuring scale is installed separately in a small recess above the focusing ring. The top half of the tube can be unscrewed for easy replacement of the measuring scale. The scale can also be rotated inside the microscope making it unnecessary to turn the entire instrument during use. Two additional scales are available with metric or inch graduations (see related products). These allow simple length measurements as well as determination of angles. No interchangeable objectives are available for the 2008 measuring microscopes. Depth measurements to an accuracy of 0.1mm are obtained by using the scale engraved on the focusing ring together with the needle on the coaxial tube. Simply focus on different levels of an object and read the difference off this scale. A small, handy transport box prevents damage to this precision instrument which weighs only 82 grams. The clear acrylic base as well as the eye cup can be ordered as replacement parts. Made by Peak in Japan. LED Illumination for Peak 2008 Microscope, 2008-L.H.